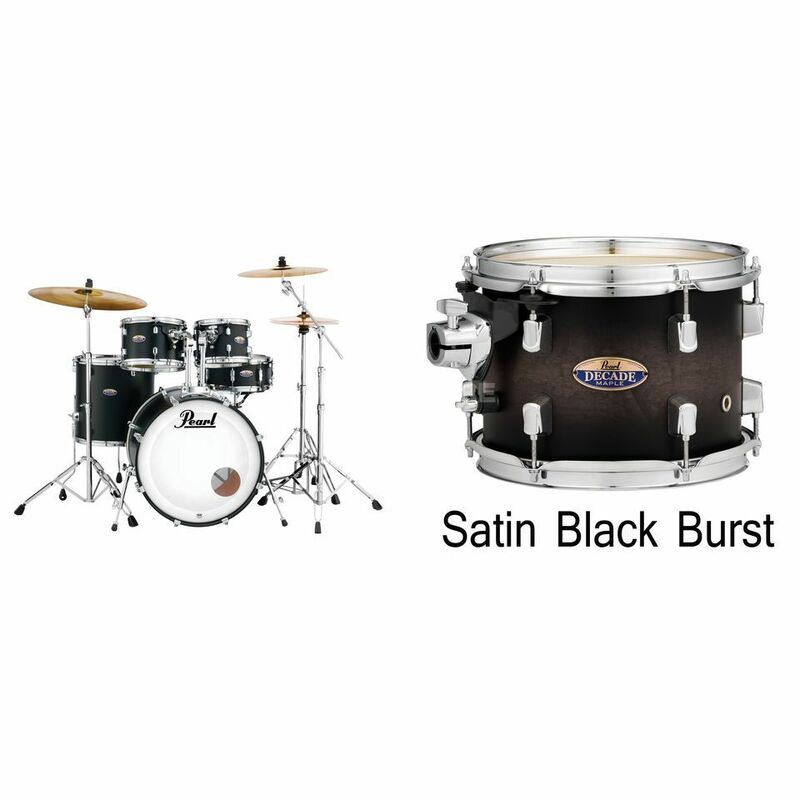 Tamanho de timbalão 1: 10" x 7"
The Pearl DMP925F/C Decade Maple Drum Shell Set Satin Black Burst is a 5-piece shell set, that consists of a 22" x 18" bass drum, 10" x 7" and 12" x 8" tom toms, a 14" x 14" floor tom, and a 14" x 5.5" snare drum, featuring a satin black burst finish. The Pearl Decade Maple Series features 5.4mm thick drum shells crafted from 6-plies of fine maple, combined using Pearl's own Superior Shell Technology, all connected to strong chrome hardware. These highly resonant drums produce a rounded tone with plenty of attack, thanks to Pinstripe and Powerstroke 3 drum heads from Remo. Tamanho timbalão 2: 12" x 8"
Tamanho timbalão chão 1: 14" x 14"
Tamanho de bombo: 22" x 18"